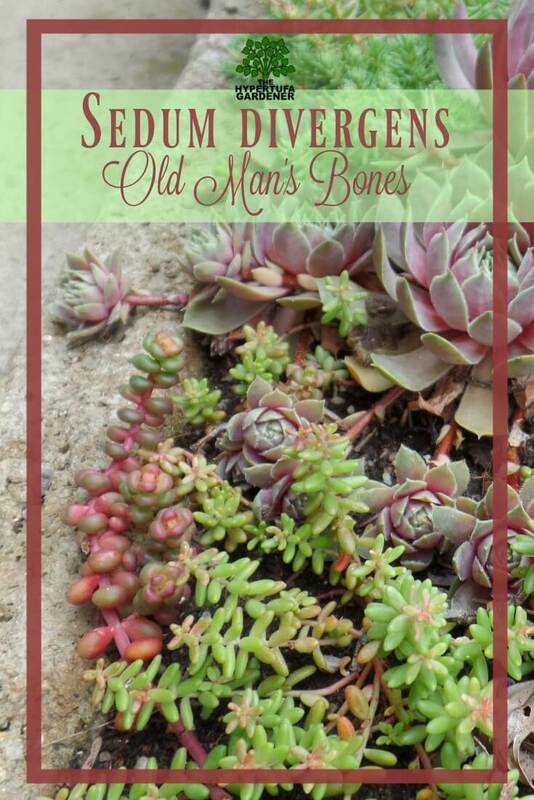 Sedum Divergens – Just Old Man’s Bones! 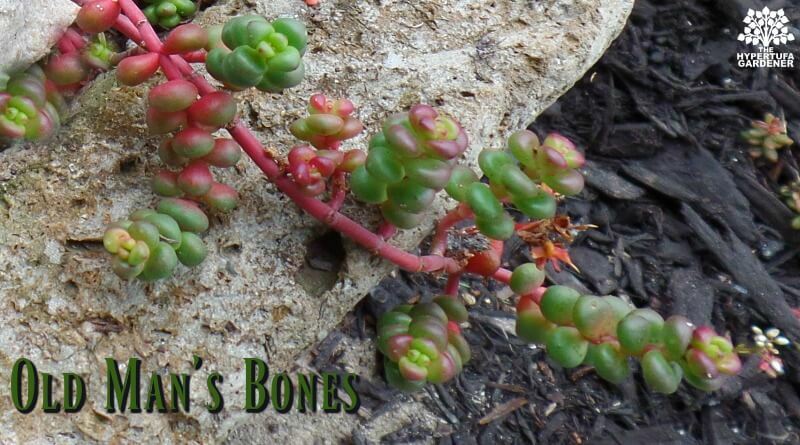 Since it seems to appear as if it is an Old Man’s Bones, this hardy succulent ( Sedum divergens ) is really a great one to have in your Hypertufa pots. My daughter and I went shopping last year and we both got some. Her plant has thrived and grown and, of course, mine croaked. What’s up with that? Aren’t I supposed to be the one who can grow succulents? As it turns out, she has had to share with me this year. It is a good thing this plant is so willing to propagate. You can break off a piece and lay it on the soil and it grows roots. Just like most succulents do. ( Is that why I love them so much? ) 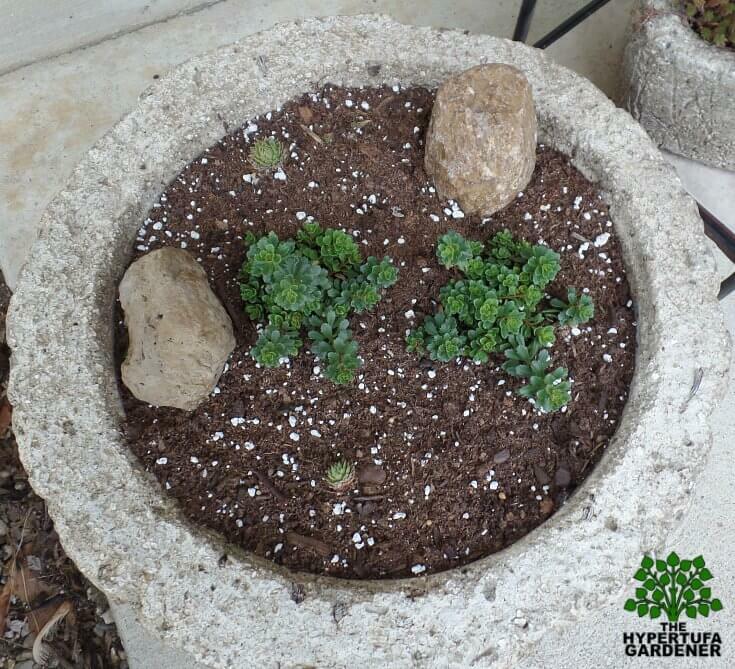 Check out more succulents in these posts. Sedum divergens or Sedum globosum is a winter hardy stonecrop or sedum which is indicated to go all the way down to Zone 3. This plant is a native plant for North America. 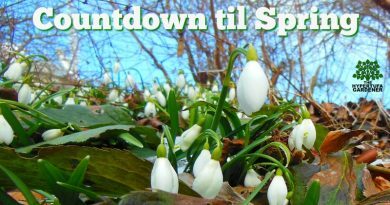 Now, because a lot of my plants are supposedly hardy, but they die out on me anyway, be sure to get yours off to a good start so that it has the best chance over winter. You may have better luck than I do. I hope I can get this one to survive this year. I will sure try my best. Why is it called Old Man’s Bones? It seems that the growth pattern of the plant is stacking globes clustered around a central stem. This is more pronounced in full sun and seems to resemble the vertebrae stacked in a spinal column. Who knows where these names come from? My daughter’s Sedum divergens was under a shaded patio and got full sun only after noon. So it seemed to grow more loosely. It seems like a string of stacked jelly beans. The photo above has the OMB on the far left and then the lower section on the right. 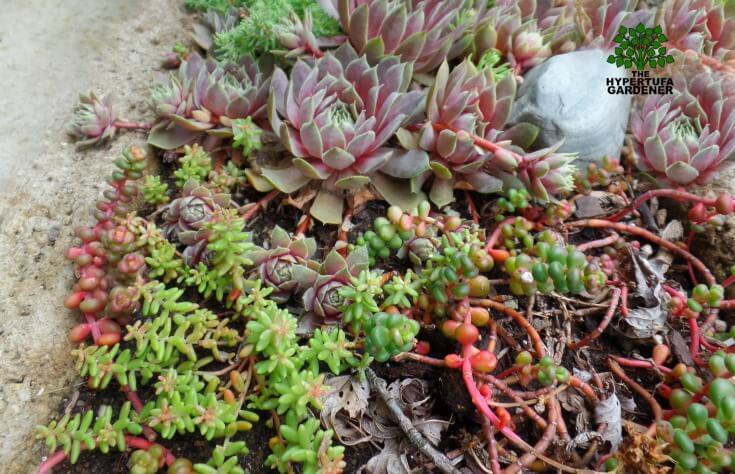 Those other plants in the dish are sempervivum and Sedum “Coral carpet” which has a similar look in miniature, but with a more elongated and pointy leaf. My Mystery Plant – Can you help me identify it? 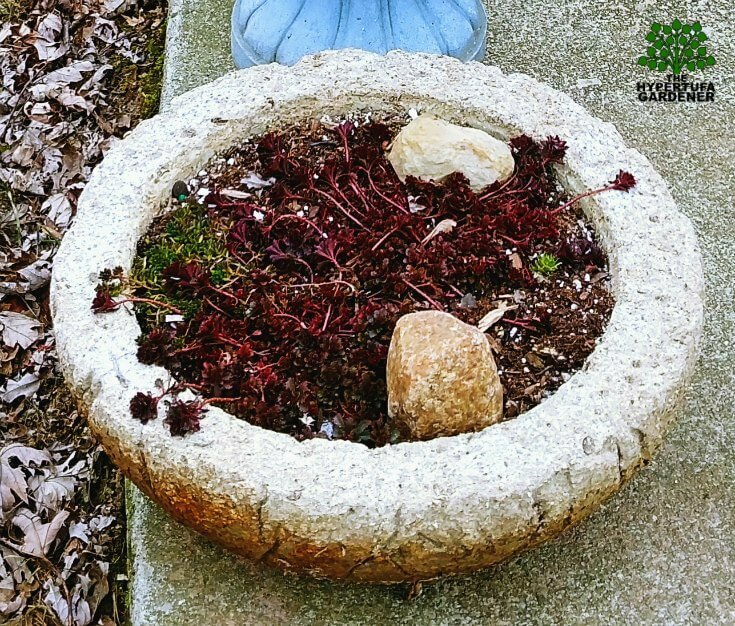 My daughter and I have made some large hypertufa bowls and have them planted up with a plant we both got earlier this year. However, we both misplaced the tags that went in the plants and don’t know what these particular sedum are. If you can help with an ID, I know I would appreciate it and she will too. Do you know what this is? See photo below. The plant is very small. The little rosettes are no bigger than a quarter at most. What could it be? Let me know in the comments or come on over to the Facebook Page and put your ID in there. Or put a comment here on the blog post. I would really appreciate it. I will add the overhead view so that you can see it better. Here is a newer photo of the same plant. It is redder since the cold affects it, but you can see how much it has grown over the past year. But what plant is it? 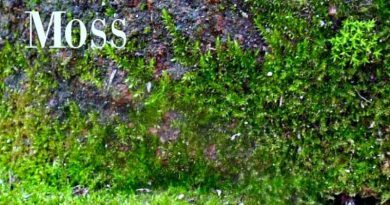 I hope you will visit my YouTube channel “Kim’s Gardens” and watch a few of my videos and see what you think. And please share! 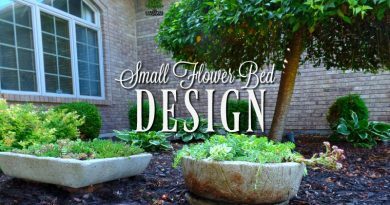 Small Flower Bed Design In Front – You Know I Have To Rearrange!